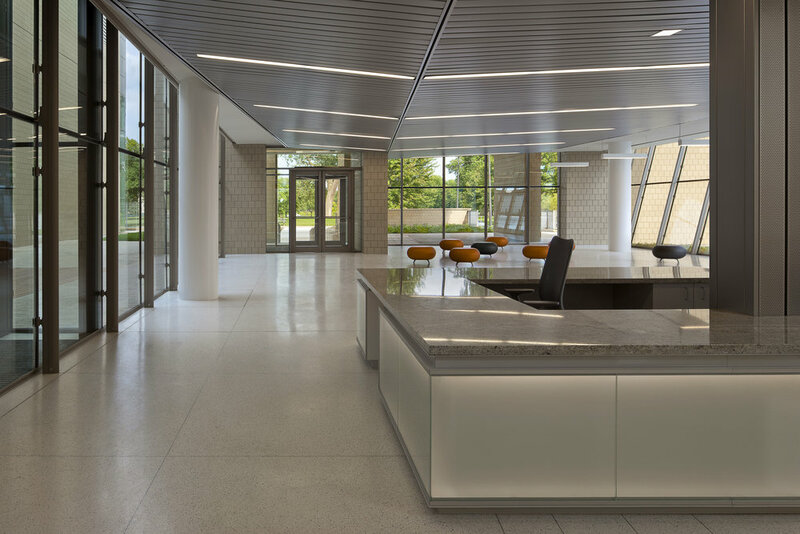 Earl Shapiro Hall — Valerio Dewalt Train Associates, Inc. Founded in 1896 by educational reformer John Dewey, the Laboratory Schools at the University of Chicago continues to be a leader of educational excellence in the country. As the school’s campus and population grew, it became time again to re-evaluate the function, program and capacity of the campus for future students. Utilizing Valerio Dewalt Trains’ philosophy of research-based design, the design process for the Laboratory Schools incorporated immersions, interviews with faculty and other leading educators, best practice survey, literary reviews – all concluding with a visioning session with key stakeholders. The first phase of the Laboratory Schools expansion and renovation project, Earl Shapiro Hall, recently opened for classes. Located on an independent site from the rest of the campus – on Stony Island Avenue, across from Jackson Park and the Museum of Science and Industry – the building has most of the programmatic elements of a freestanding school building. In addition to classrooms, art and music rooms, library and gymnasium, the building also has full administrative offices, counseling offices, and learning labs. 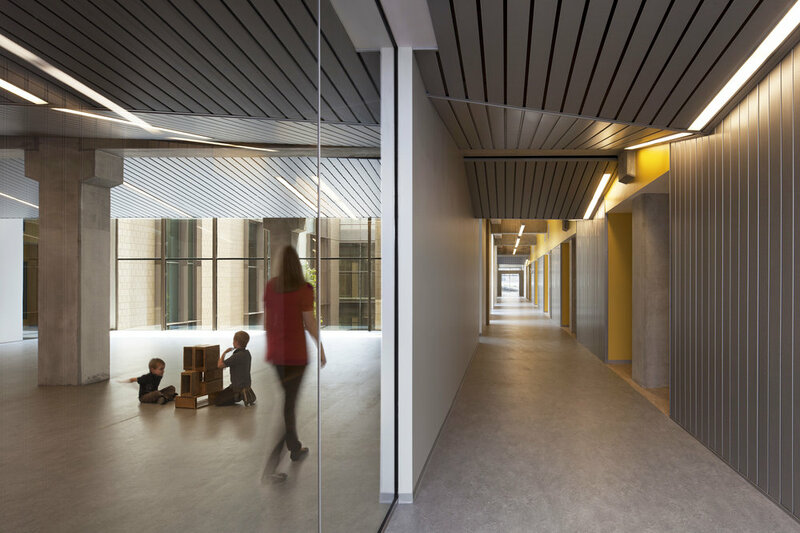 Among the building’s innovations is the incorporation of outdoor courtyards and learning labs adjacent to the classrooms. The classrooms themselves are designed to be flexible and to encourage the teaching philosophies of the Reggio Emilia approach to preschool, a 20th century education philosophy that grew from Dewey’s original principles placing the child within a larger learning community.